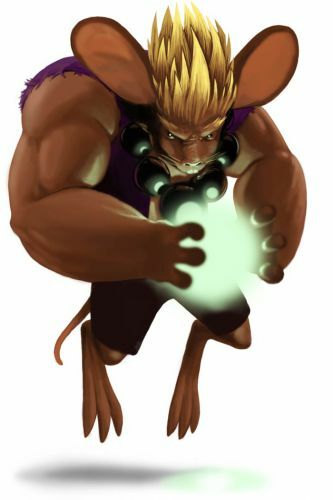 The Master of the Dojo Mouse is attracted only to Rumble Cheese. No Charms are required to attract the Master of the Dojo Mouse. Hunters can encounter the Master of the Dojo Mouse only in the Pinnacle Chamber location. The Master of the Dojo Mouse drops Onyx Stones as loot in the Pinnacle Chamber location. Attraction info and special event loot drops for the Master of the Dojo Mouse can be found at the individual event location pages. The Master of the Dojo Mouse drops the Furoma Egg and Master of the Dojo Egg during the annual Spring Egg Hunt. 26 November 2008: The Master of the Dojo Mouse was released. 30 November 2009: The Master of the Dojo Mouse was chosen as the "Monday Mystery Mouse". For this day only, there was a 50% chance that it could drop up to 10 pieces of SUPER|brie+ cheese as loot. This page was last edited on 25 February 2018, at 05:12.